It seems like an eternity ago. My daughter sat on my lap and we read about Cinderella. She gasped and looked at me with such concern at the part where Cinderella lost her slipper. 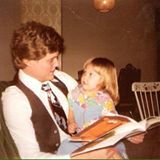 Story time was always a tender time for me with my little girl. Then we'd have ice cream. I remember she would dance around the house living out a fairy tale. Sometimes she would let me into her world and we would dance around the living room. Somewhere deep inside me there was a dread of a day when the clock would strike mid-night and she would be grown and someone else would tap me on the shoulder to dance with her. I would have to bow out knowing she had found her prince. I remember when my daughter brought her prince home to meet my wife and me. She announced she was engaged. I was happy and sad. From the day she was born I knew that day would come. On her wedding day she must have remembered Cinderella. She paused for ice cream but this time it was I wasn't with her. Fathers, cherish the time you have with your daughters. They grow up in the blink of an eye. Before you know it they will be gone and you'll be sitting at the kitchen table eating ice cream without your Cinderella. Very nice. We just went through this with out oldest daughter. Its so good to see parents who care this much about their children's futures. We take it for granted but there are many girls out there whose parents don't care and who end up with abusive monsters for husbands. Thank God for men who recognize our Cinderellas for who they are. Thank you for your comment Cathy. The point of a post like this is more than fluffy sentiment on my part. 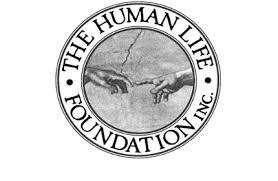 Part of the HumanLifeMatters' ministry involves encouragement. In this case, it is a short encouragement to fathers in their sacred calling of fatherhood. Daughters and sons need tender nurture. I'm impressed with this generation of fathers and want to encourage them.